The Sazerac Bar debuts “Sazerac 125” cocktail to commemorate 125th anniversary of The Roosevelt New Orleans, a Waldorf Astoria Hotel. Infamous bar will serve a limited number of the $125 drink as celebratory experience. 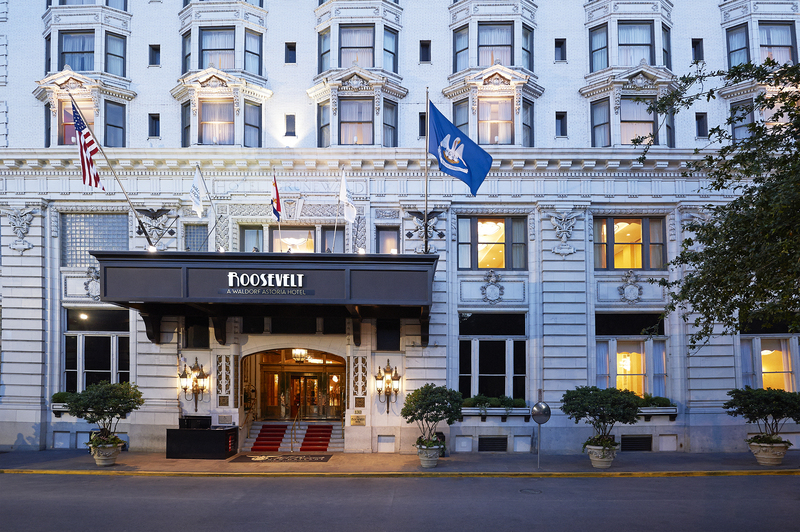 To celebrate The Roosevelt New Orleans, A Waldorf Astoria Hotel’s 125th anniversary, its historic in-house bar, The Sazerac Bar, is now serving a commemorative “Sazerac 125” cocktail, offering a few discerning guests and locals a chance to take a sip of history. The $125 drink will be sold in limited quantities: Only 125 will be available while supplies last. Invented around 1850 in a saloon on Exchange Alley, the Sazerac, known as the world’s first mixed cocktail, is the most famous drink of New Orleans. The Sazerac Bar has existed in only three locations: Exchange Alley, 300 Carondelet Street and at The Roosevelt New Orleans. 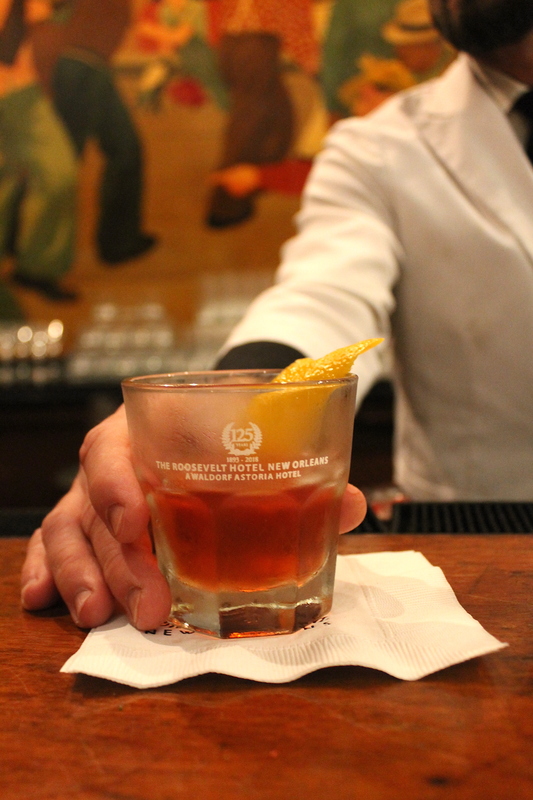 Nearly 30,000 Sazeracs are sold each year in The Sazerac Bar. Infamous Louisiana Governor Huey Long loved the Sazerac Bar so much it’s often said that he had Airline Highway built from Baton Rouge to the front steps of the hotel just so he could get there in under an hour. He also once flew a Sazerac Bar bartender to New York to show Big Apple hotel bartenders how he liked his Ramos Gin Fizz, another specialty of The Sazerac Bar, made properly. The drinks aren’t the only thing for which The Sazerac Bar is famous. When a group of women stormed the bar on September 26, 1949, they demanded equality—and a stiff drink—at a time when women were only allowed to be served on Mardi Gras day. To honor these women and continue their legacy, the annual Stormin’ of the Sazerac includes historic New Orleans libations, cuisine and various festivities. The celebration takes place in the Blue Room each September and includes a three-course luncheon, fashion show and competition. Ladies come dressed in their best 40s outfits. 2019 will be the 70th anniversary of the Stormin’ of the Sazerac. Historical giveback campaign. The contest, running until July 1, encourages the public to bring in anything they have taken from the hotel in the past: hotel keys, pillow covers, robes, décor—no item is too big or too small. Whoever brings in the best item will win a seven-night stay in the presidential suite, gourmet meals, spa treatments and more. Offering guests “experiences.” These fine dining events invite well-heeled locals and visitors alike to experience a night on the town. Further details will be announced soon. Rooftop pop-up series. Local chefs will venture to the hotel’s pool deck every Thursday during the summer. A variety of foods will be offered, as well as access to the pool—usually reserved for guests. Rooftop yoga. Held at the hotel’s rooftop pool bar and cabana, this happy hour with a healthy twist will include a workout, cocktails and food. Guests can “Pick Three” for $18.93 in the Fountain Lounge, the property’s signature in-house restaurant. The price is a nod to the year 1893, when the hotel first opened. 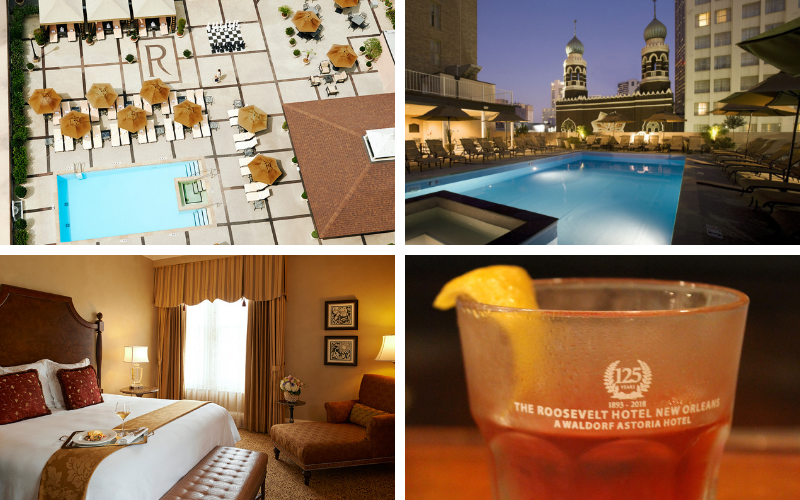 The Roosevelt is an institution that helps shape New Orleans’ history. You’re invited to come be a part of it.